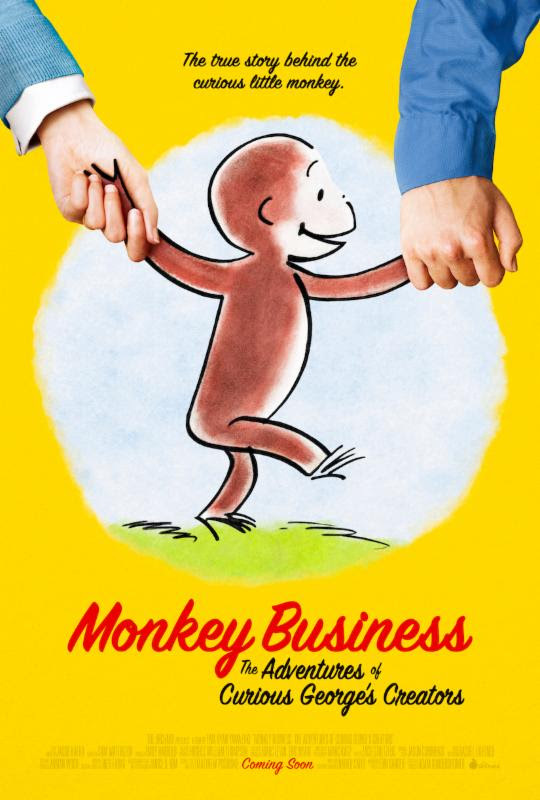 The Orchard has released the official poster for Monkey Business: The Adventures of Curious George’s Creators! Featuring a narrow escape from the Nazis on makeshift bicycles, Monkey Business explores the extraordinary lives of Hans and Margret Rey, the authors of the beloved Curious George children’s books. Monkey Business: The Adventures of Curious George’s Creators will be available on demand and digital August 15, 2017!